guidance « Apostle Talk: Future News Now! Sometimes you may feel that your life is “out of place” or “out of sync.” That is, your walk with the LORD feels different. You know that “We walk by faith and not by sight;’ however—this is different. You either feel the “challenge” has left—it’s gone somewhere—or you feel like there’s nothing left to do (even though you have “tons” of stuff on your plate scheduled to be accomplished). ITEM #1 – When you are tired—weary—and worn down, it is important to set aside time to be with God. Listen to Him and thank Him for what He has done for you and yours in the past. ITEM #2 – When things seem “out of place” it is usually—assuming we are NOT in sin or rebellion—that a NEW vista is about to open. A NEW season. Look at the message (prophecy) in the podcast: That’s What Prophets Are For. Something seems out of place—different—because it is like the “freshness” has left (even though you have been productive). It does NOT mean that you are necessarily to stop doing what you have been doing—or even to maintain part(s) of it—but that a NEW work is about to be assigned to you … and NEW direction. A NEW season. That’s also where fasting is important. “Moreover Amaziah gathered Judah together, and made them captains over thousands, and captains over hundreds, according to the houses of their fathers, throughout all Judah and Benjamin: and he numbered them from twenty years old and above, and found them three hundred thousand choice men, able to go forth to war, that could handle spear and shield. He hired also an hundred thousand mighty men of valour out of Israel for an hundred talents of silver. God is good not only to lead us … but to warn us by His Spirit. In Nehemiah Chapter 8, verse 30, we read: “[He] testified against them by His Spirit in the prophets.” However, as a New Covenant believer in Messiah Jesus,you have the Holy Spirit living inside you—you do NOT need a prophet to guide you. 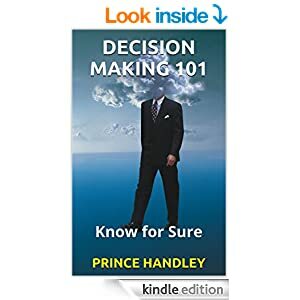 However, God may send a prophet to confirm or reveal to you things you are NOT aware of in order to help you make a decision. Like a “spotter” helping his racing team driver in NASCAR; but—remember—the driver still has to make the decisions. You are the driver … you are driving your car. Sometimes you may be confused as to whether God is warning you about a bad—a wrong—decision you are about to make … or whether … it is only a “sprit of fear” that is afficting you. This is easy to discern because love is stronger than fear. “Perfect love casts out all fear.” (1 John 4:18) “God is a Spirit: and they that worship him must worship him in spirit and in truth.” (John 4:24) Speak to the spirit of fear—bind it—and cast it out from disturbing and confusing you in the name of Jesus. If it leaves, you will know that is what was bothering you. If you still have concerns about the decision, make sure you do NOT do it unless—until—you are sure! Don’t gamble with your future. Remember … Stay in the peace zone. What do you feel in your gut? If you’re NOT sure … then don’t. 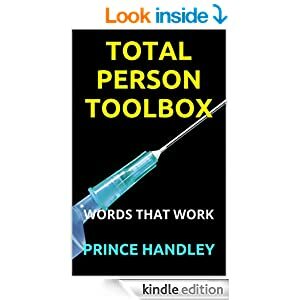 Total Person Toolbox is the simplest book you will ever read—all based upon scripture affirmations—to make sure you have a foundation upon which to base your faith. It covers the four pillars of life and in those times when you need “shoring up” in your faith in a particular area—or need a MIRACLE—it will give you the “shot” you need. When you operate successfully in all of these four pillars of life you can accomplish anything else in life. Nothing can stop YOU. 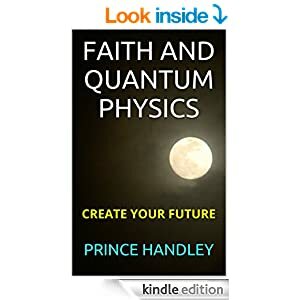 This book is also an excellent gift for people who are without a working knowledge of scripture … and who have no knowledge of how to access God’s MIRACLE working power.